Presenting a sampling of the Green Field signature papers in one convenient swatch book. Included in each swatch book are all 3 weights of our Hemp Heritage® paper, every color of our seeded Grow-A-Note® paper, and every color of our Paperevolution® Handmade seedless paper. 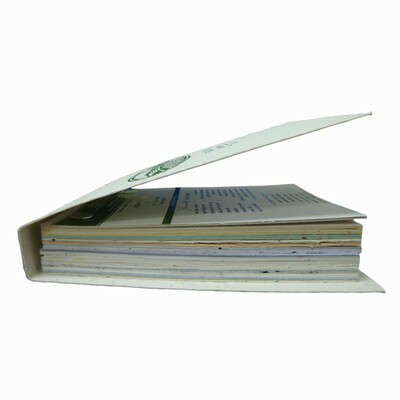 The cost of this swatchbook will be credited towards any custom printed order received within 12 months of purchase. LIMIT 2. Call for pricing on larger quantities.